In addition to the title of ‘Live Music Capital of the World’ – Austin has been dubbed a ‘Music Friendly Community’ in the State of Texas. 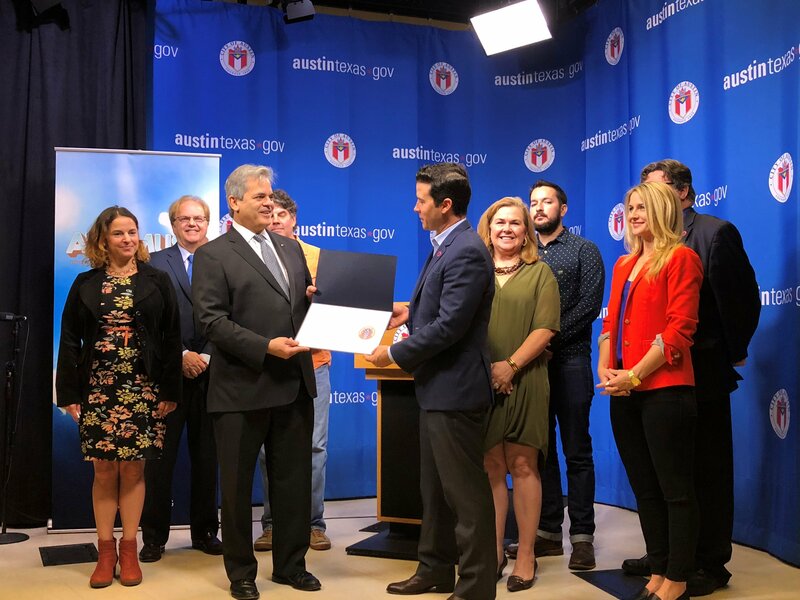 The Texas Music Office, within the Office of the Texas Governor, officially designated Austin a ‘Music Friendly Community’ at a press conference today. Music is a large part of Austin’s cultural fabric and economy. The designation, the second bestowed to a Texas city, (Fort Worth was designated earlier this year), is fitting as Austin continues to push the envelope to create prosperous opportunities for musicians working hand-in-hand with its Music Commission to address issues of diversity and equity. As a result of the Austin Music Census conducted in 2015, the City of Austin’s Music & Entertainment Division within Economic Development Department, has made a deliberate effort to focus on industry development and revenue generation within programs and services to better structure and grow Austin’s music economy and tourism. Securing a variety of robust industry partnerships is crucial to the cause. Participation in the Texas Music Office’s new "Music Friendly Community" program provides Texas communities with a network for fostering music industry development, and sends a clear message to industry professionals that certified communities are serious about attracting and developing music industry growth.